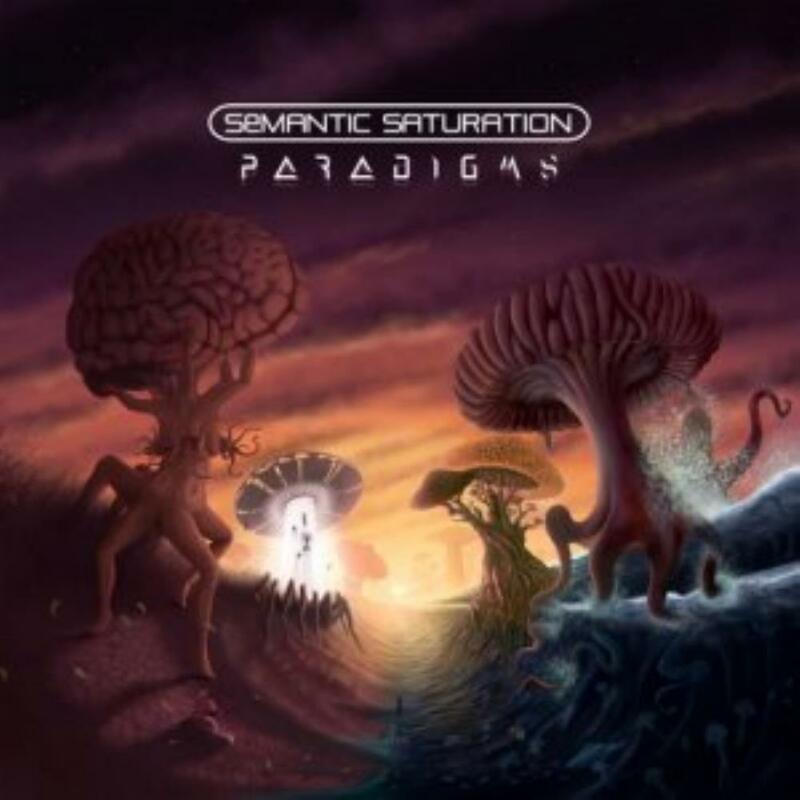 SEMANTIC SATURATION is a Canadian progressive metal project by songwriter/guitarist Shant HAGOPIAN. Being of Syrian/Armenian heritage, HAGOPIAN was also the founder of the Syrian progressive metal band NU.CLEAR.DAWN. 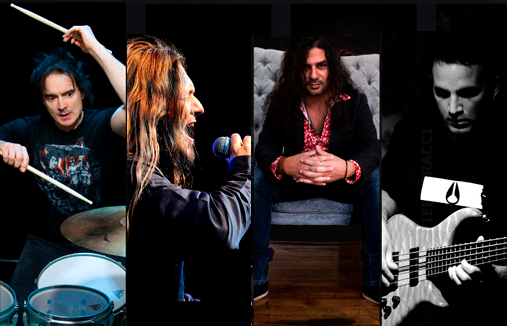 HAGOPIAN has recruited a group of well known progressive metal icons for this album like bassist Ric FIERABRACCI, vocalist Andy KUNTZ, drummer Virgil DONATI and his PLANET X collaborator Derek SHERINIAN. The project released its debut release "Solipsistic" in 2013 featuring strong instrumental progressive rock/metal/jazz-fusion sound with exciting rhythms and complex guitar & keyboard exchanges that most fans of progressive metal should be more than content with upon hearing the record. 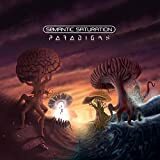 Guitarist Shant Hangopian did it again with his band Semantic Saturation on the follow up album named Paradigms issued not long ago 20 august 2018. As I said on their first album, that this is an intresting new band on a prog jazz metal scene, I'm saying again that Paradigms really smoke from start to finish. A bunch of helping musicians here again, besides usual friend Derek Sherinian, we have famouses Alex Argento on keys, Kristoffer Gildenlów (ex-Pain Of Salvation) on bass, Crain Blundell (Frost/Steven Wilson) on drums and as vocalist jazz singer Houry Dora Apartian on only single number of the album Empty Whiskey Jar. Well, the musicianship is impressive as the music who is is top notch a kind of prog metal meets jazz fusion, Hagopian delivers a perfect belent between simple/complex, the music is very fluent, each piece is realy something, . The arrangements are as I said when little simple, when complex as hell, but each time Hagopian really knew to make the music quite beautiful and intresting from start to finish. In places is little more prog metal and less fusion as on previous release, but is not a bad thing of course. I like a lot the druming Blundell is a really tight and inspired performer and has some intresting chops, just to be checked among other the opening Mirrors of Confusion. The duelings between guitar and keybords are fantastic, the sound is crystal clear, the compostions top notch, what else a total winner in my book. So, all in all another worthy relese by this fantastic guitar player, Paradigms stands as solid as the debut, maybe little, just little less intresting in parts as Solipsistic. Again intresting art work , CD in digipak format. 3 solid stars, 3.5 stars to be more sure, worth to be investigated by anyone intrested in good prog jazz metal. 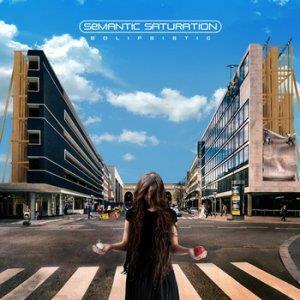 Semantic Saturation is one of the most intresting prog metal bands from last year 2013, their first album named Solipsistic got rave reviews worldwide, I myself being totaly pleased by the music offered. Formed around syrian/armenian guitarist Shant Hagopian, who was also was member of prog metal band named Nu.Clear.Dawn who released a single album in 2003. On this release we have some well known musicins in this bussines, like keybordist Derek Sherinian also himself with a syrian/armenian roots, the drumer of all drumer Virgil Donati, the bass god Fierabracci and Andy Kuntz from Vanden Plas on voice on one pieces. The music is top notch a kind of prog metal meets jazz fusion, Hagopian delivers a perfect belent between simple/complex, the music is very fluent, each piece is realy something, great great musicinship overall. The arrangements are as I said when little simple, when complex as hell, but each time Hagopian really knew to make the music quite beautiful and intresting from start to finish. The duels between guitar and keybords are fantastic, the sound is crystal clear, the compostions top notch, what else a total winner in my book. Andy Kuntz from Vanden Plas fame shows his perect voice for this kind of music, he is of course one of the respected voices in prog metal in last 2 decades. All tunes have same level, no weak moments here, only great ones. From me 4 stars for sure, recommended, release coming in digipak format with a very good artwork aswell. Album available on his bandcamp page both digital or CD. So, don't hesitate to get it worth every second. Canada has been shy on guitar heroes that could figure on ProgArchives. Sure, there's the untouchable Alex Lifeson and the versatile Kim Mitchell, but now there's fresh blood arriving from Montreal, a new sheriff in town: Shant Hagopian, maestrio behind Semantic Saturation. Like Wyatt Earp marching to O.K. Corral to do justice, Hagopian has an impressive (to say the least) list of companions: Virgil Donati who could easily be Doc Holliday on drums and Derek 'Trigger Happy' Sherenian on keyboards. Imagine the Christmas party of the band? enough to make you wanna be an icecube thawing in the punch. Fortunately for us, the band is not an all-out tentative, throwing impolitely at your face everything it has. Hagopian seems to know the meaning of moderation, with various speeds and textures within the same song. It's a refreshing approach considering what he can do, considering his technique. How do you get to play like that? Good genetics perhaps. You can tell immediately that I'm sold, okay I admit it. But with almost 400 reviews on my clock, I can smell the uncreative shredders from a block away. This time, I can humbly tell you that this record is not shadowed by the Vai, the Satriani or the Petrucci. 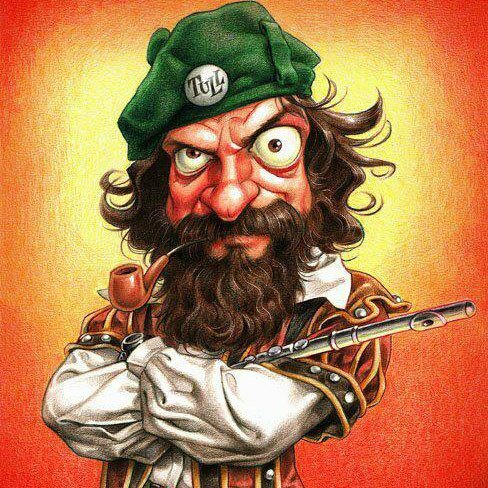 This is intelligent music, cleverly put together to make melodies that glues to your brain and makes you air-guitar like Bill & Ted's Excellent Adventure (only the 35 year old and up will understand). My favorite pick to be the next '6 strings star', Hagopian's music will lead to speeding tickets on the highway but on the other hand, is a natural way to increase serotonin in your bloodstream. Oh and give it up to the fun art cover and packaging, almost an episode of Where's Waldo?